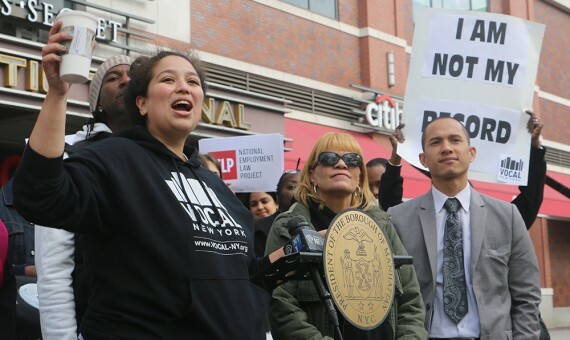 “New Yorkers with conviction histories and their advocates rallied in Brooklyn this morning to celebrate the Fair Chance Act, a new law that takes effect today that will help ensure that people with records have a fair chance at employment and are not unlawfully shut out of the job market. 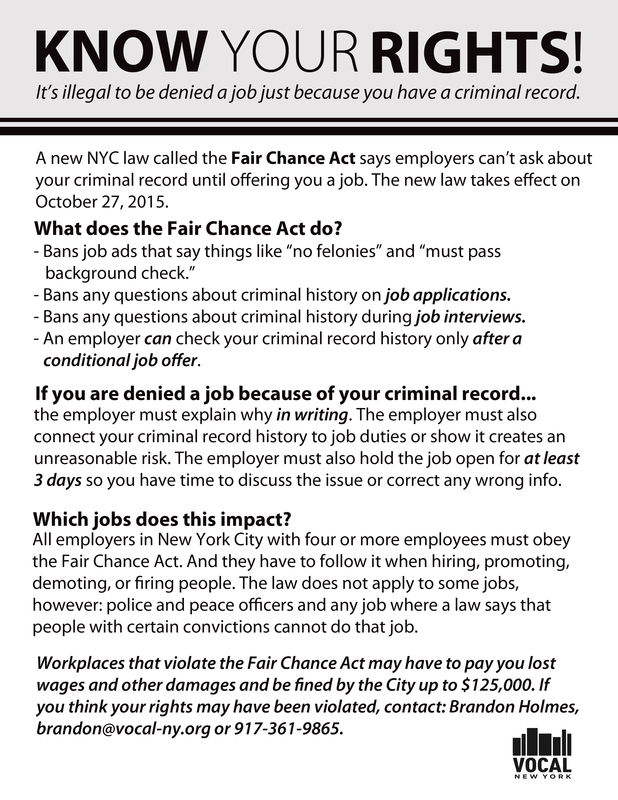 Under the Fair Chance Act, it is illegal to ask about criminal history on job applications and during initial job interviews.Only after a job offer is made may employers ask about criminal convictions and—with the applicant’s permission—run a background check. After reviewing the applicant’s conviction history, employers may withdraw the job offer only if the candidate’s criminal record is directly related to the job or if hiring the individual would pose an unreasonable risk. The new law applies to all employers with four or more employees in New York City. It does not apply to some jobs, such as police and peace officers and any job where an existing local, state, or federal law says that people with certain convictions are prohibited from consideration. More detailed information about the Fair Chance Act is available here andhere.